The direction for Film No. 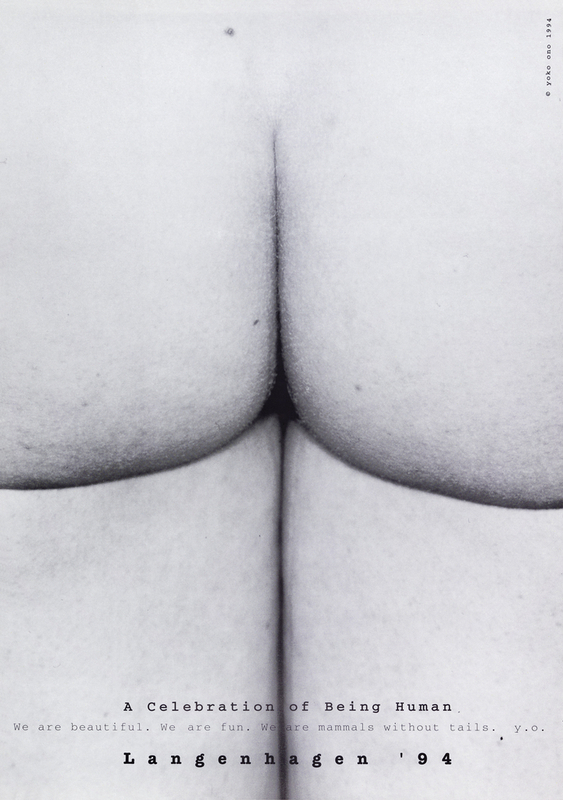 4, an early work by Yoko Ono, began with simple instructions: “String bottoms together in place of signatures for petition for peace.” The 80-minute film, created in 1966-67, showcases a series of bare bottoms in the midst of walking. The images are accompanied by a soundtrack composed of interviews with the people whose behinds are featured, and others who are considering participating. In the film, each bottom is anonymous, thereby obscuring the display of hierarchies and differences—everyone is represented by the same universally shared human feature. Scott MacDonald, “Yoko Ono: Ideas on Film,” Film Quarterly, vol. 43, no. 1 (1989): 3. Kai Bauer, “Urban Space as Art Space: A Celebration of Being Human,” in Yes Yoko Ono, ed. Alexandra Munroe and Jon Hendricks (New York: Harry N. Abrams, 2000), 256. Leigh Behrens, “People,” Chicago Tribune, November 13, 1994, https://www.chicagotribune.com/news/ct-xpm-1994-11-13-9411130366-story.html. An article concerning the recent screening of Film No. 4 at the Royal Albert Hall in London provides further context for the film, as does a transcript of Yoko Ono speaking about the film for the Museum of Modern Art.